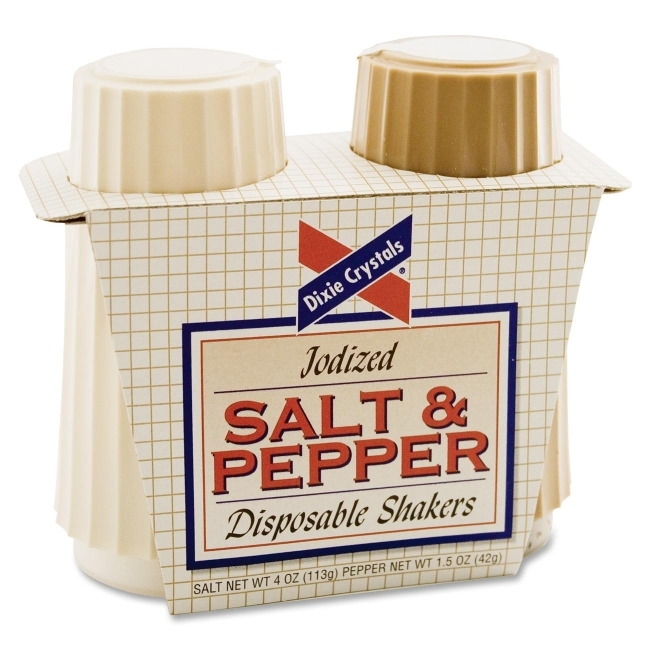 Salt and Pepper Disposable Shakers are great for all types of kitchens and cafeterias. 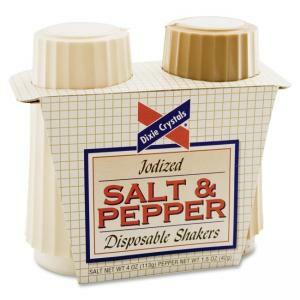 Salt shaker holds 4 oz. of salt (included). Pepper shaker holds 1.5 oz. of pepper (included).